Taken early(ish) morning in late October 2008, looking across the Cennen Valley, near Llandeilo, from NGR SN6733018765. 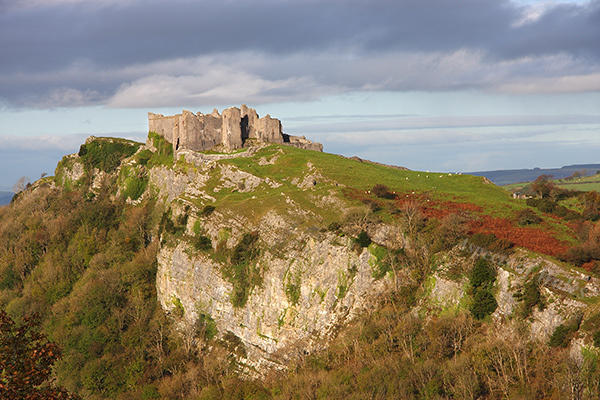 The present Carreg Cennen Castle dates back to the 13th Century, but there is evidence of much earlier occupation of this spectacular hilltop site. Canon EOS 40D, Canon EF-S 17-85mm lens, Manfrotto tripod. Exposure F8 at 1/250sec. Original image in Raw format.